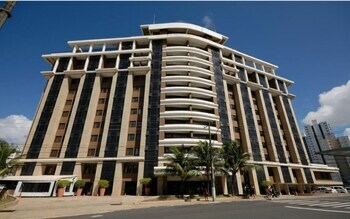 Located in Salvador (Armacao), Faro Inn Hotel Salvador is within a 5-minute drive of Bahia Convention Center and Pituacu Beach. Featured amenities include a 24-hour front desk, multilingual staff, and luggage storage. Free self parking is available onsite. With a stay at Ajuricaba Backpackers Hostel Manaus, you'll be centrally located in Manaus, within a 15-minute drive of Teatro Amazonas and CIGS Zoo. Limited parking is available onsite.